Glenn Eames opened Old Spokes Home in 2000. 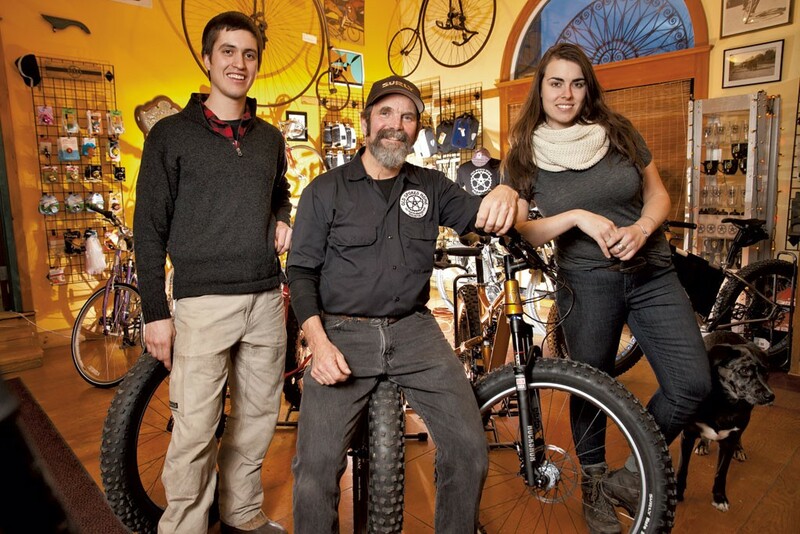 Dubbed "the most unusual bike shop in the world," Glenn sold new and used bikes for everyday transportation and adventure, offered full repair services, custom builds, wheel building all while making Old Spokes Home a cultural hub for bicycle lovers. His world-class bicycle museum takes viewers through the technological development and history of the bicycle, and the walls of the shop are decorated with bicycle art and images from around the globe. Glenn never pushed technology for technology's sake; he aimed to offer high-quality, durable products in an effort to set riders up with exactly what they needed for their next ride or adventure. His goal was to make bicycling and the joy it provides available to everyone in the Burlington community. Ron Manganiello started Bike Recycle Vermont in his backyard in 2005. 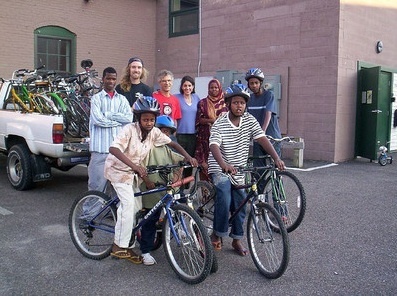 A friend working for the Vermont Refugee Resettlement Program asked Ron, a voracious everyday cyclist, if he knew where to get a bike for a Somali man who recently settled in Burlington and needed to get to work. Ron found a bike in a dumpster, fixed it up, and delivered it to the man. Soon after, dozens of requests for bikes started pouring in and Ron recognized that bicycles have a tremendous positive effect on people's lives; bikes expanded people's mobility, healthfulness, and freedom. Ron wanted to provide bikes and these opportunities for people who needed them the most. In 2006 Ron moved the operation to the basement of Good News Garage in the Old North End of Burlington where it remains today. In 2007, Vermont's nonprofit bicycle and pedestrian advocacy organization, Local Motion, adopted Bike Recycle Vermont as one of its programs. 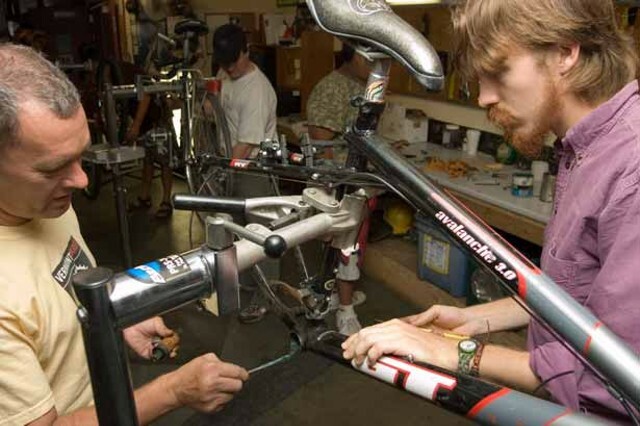 Between 2005 and 2015, Bike Recycle Vermont provided over 5,000 bikes and 10,000 repairs to low-income Vermonters. In 2015, staff and volunteers at Bike Recycle Vermont raised funds for the purchase of Old Spokes Home. The goal was to establish new nonprofit organization that would manage both shops and merge their operations, staff, and resources. 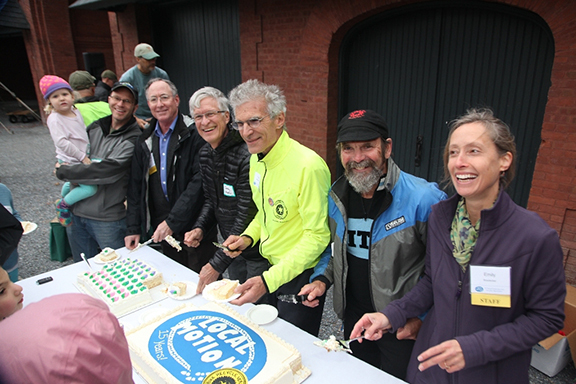 As a single organization, Old Spokes Home & Bike Recycle Vermont have grown their social programs and services, adding job training opportunities, classes, youth programs, rides, trips and other services and events designed to get more people enjoying the benefits of bicycling. We retired the name Bike Recycle Vermont in 2017 in order to present a more unified organization. We are now Old Spokes Home, a bike shop and a nonprofit, here to make bikes accessible to everyone in our community. In 2019, we took another big step: we merged our two shops into one space. Integrating our operations under one big, beautiful roof will create efficiencies, improve the quality of our programming, establish equity among our customers, and sustain our operations into the future. 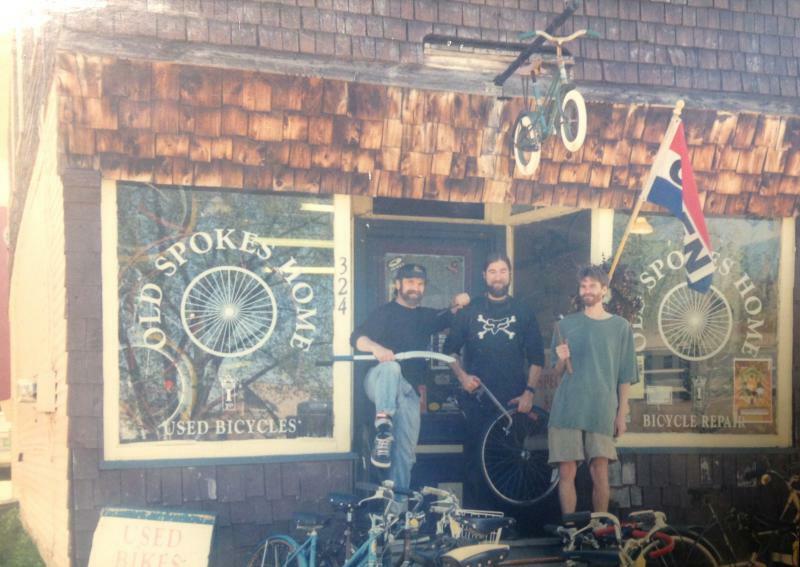 Visit our Press page to read articles and watch videos about Old Spokes Home, Bike Recycle Vermont, and their transformation over the years.